Cheers to Mother Earth! 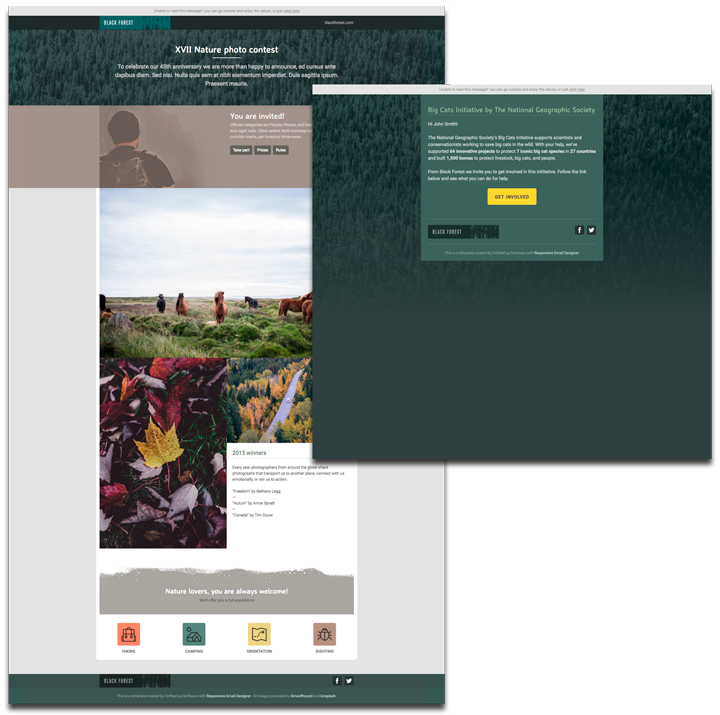 Enjoy a pair of cool nature inspired email themes. These swanky email designs compliment the beloved Black Forest Responsive Site Designer theme perfectly. Plus, they’re formatted to display amazingly across screen sizes and mail clients. Available in two flavors, a long and short version, and they’re both 100% customizable. This way you can adapt them to your content and personal style. Easily customize them code-free using the mighty Responsive Email Designer, or download the exported HTML to modify them using your favorite code-editor.